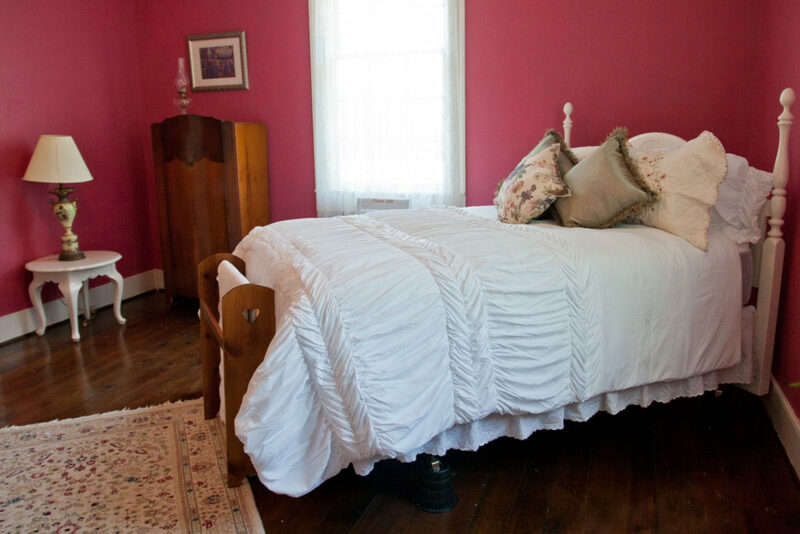 Our elegant Colonial Revival home, built circa 1910, is conveniently located near Spencer, Virginia between Martinsville and Stuart. 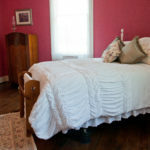 It is an idyllic location for an overnight stay, a romantic getaway or your special event. 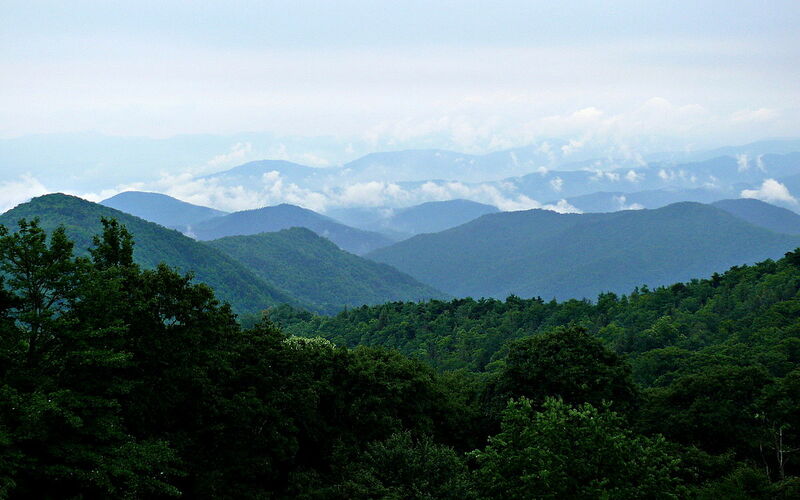 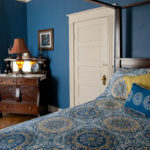 Stuart Hill is a haven for the weary traveler, and a place of relaxation, respite and rejuvenation. 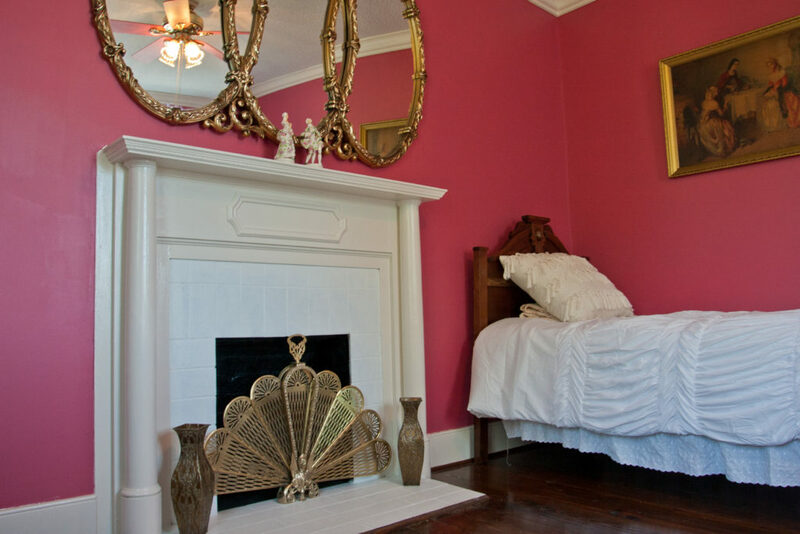 It is the epitome of quaint southern charm! 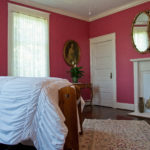 We currently offer two guest rooms tucked away in the peaceful southern corner of the house. 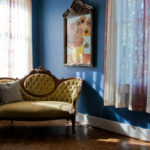 Enjoy Warm afternoon sunlight, tranquil evening sunsets and beautiful garden views. 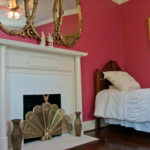 Book Now through Airbnb or Contact Us for a Reservation! 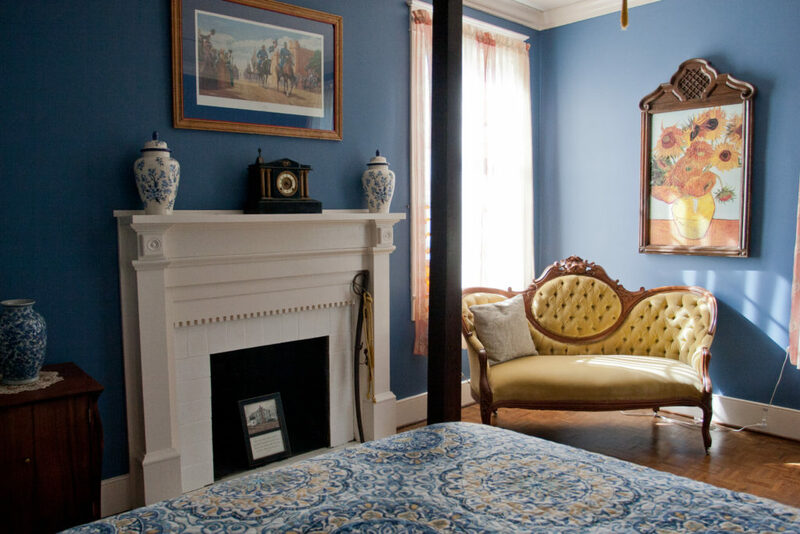 Enjoy our premier Cavalier Suite with a comfortable, queen-size four poster bed and adjoining private bathroom. 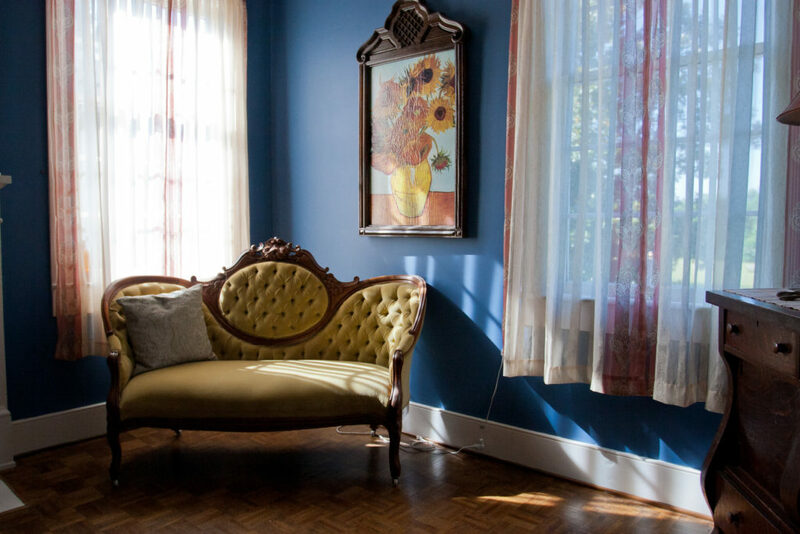 There’s always room to relax on the antique love seat that beckons you to sit and enjoy the beautiful countryside view and perhaps even to catch up on your reading! 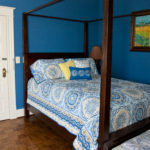 This guestroom is perfect for a romantic getaway for two or a spacious room for one. 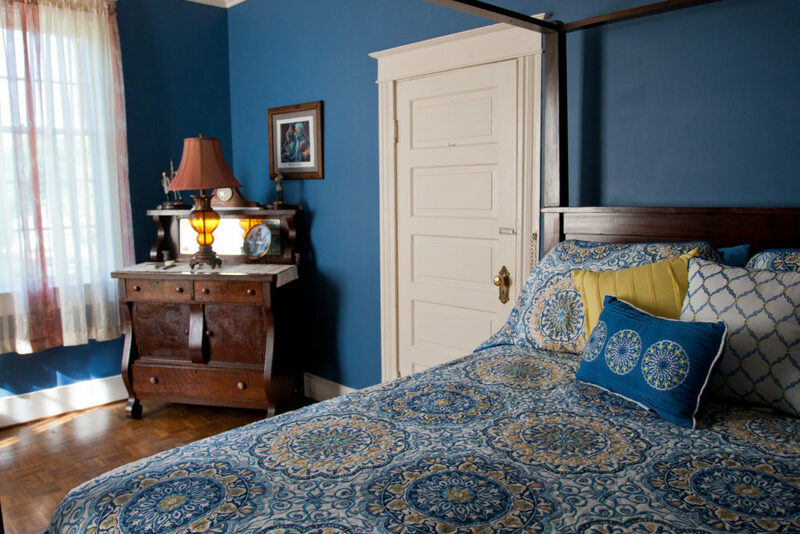 Our classic Magnolia Rose Guest Suite has one queen-size bed and one antique single bed for an additional guest. 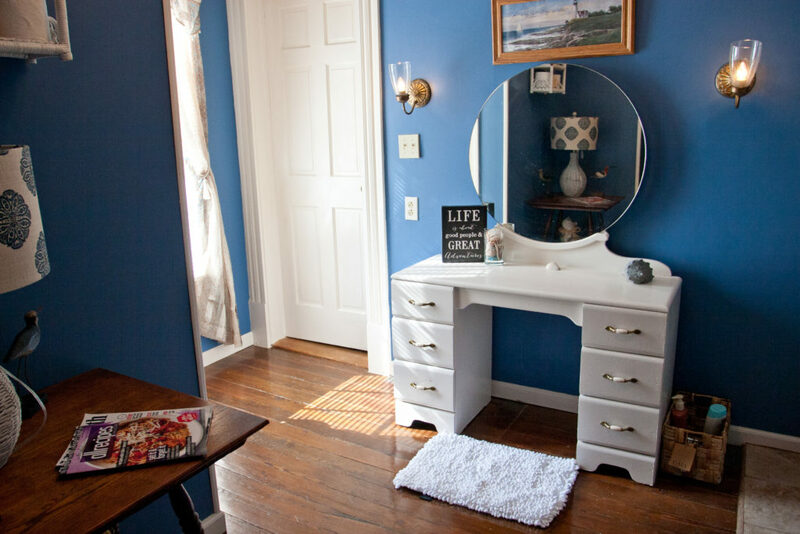 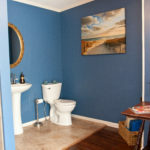 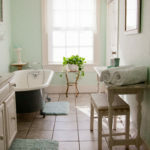 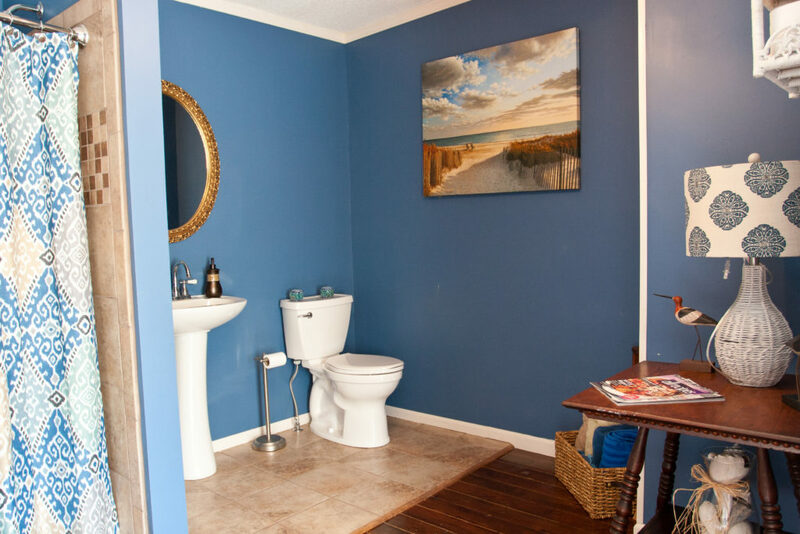 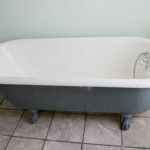 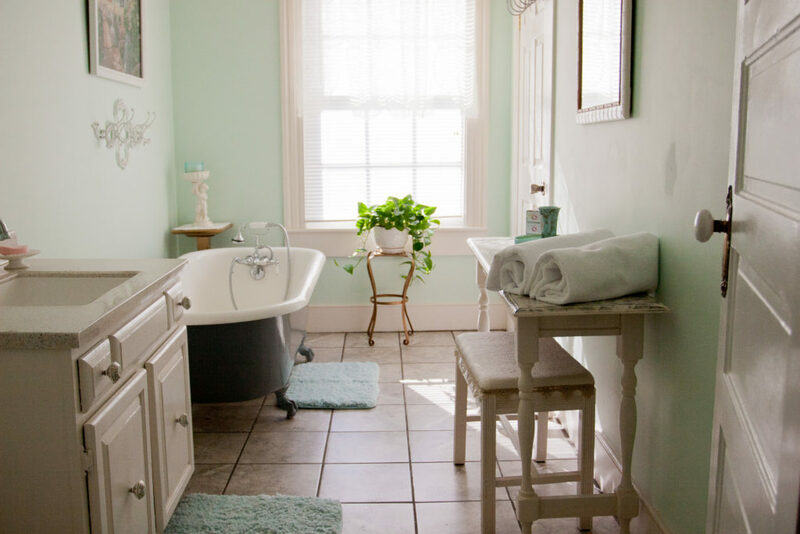 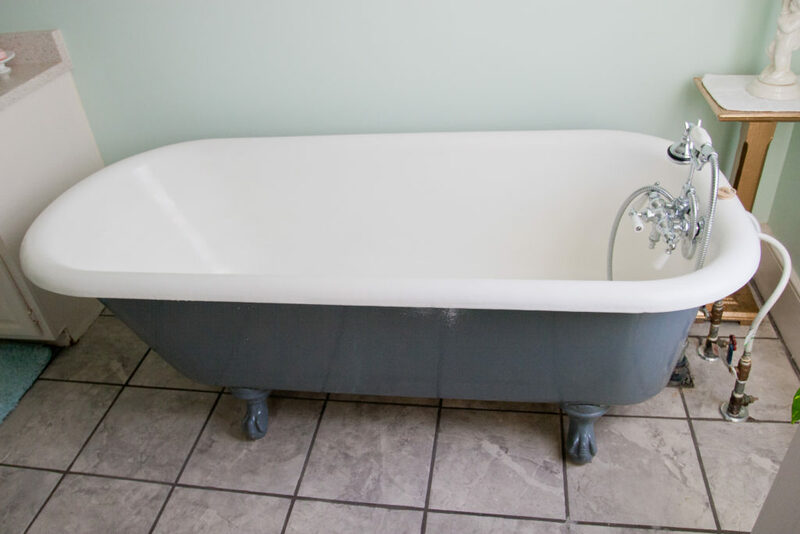 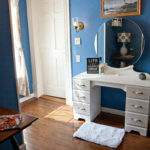 This room offers a detached bathroom featuring a large vintage cast iron claw foot tub. 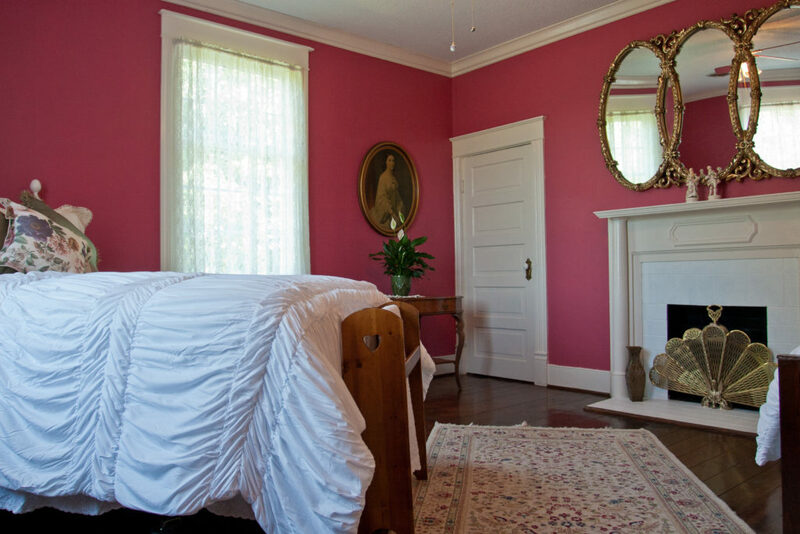 The windows are draped in antique lace with garden views of giant southern magnolias. 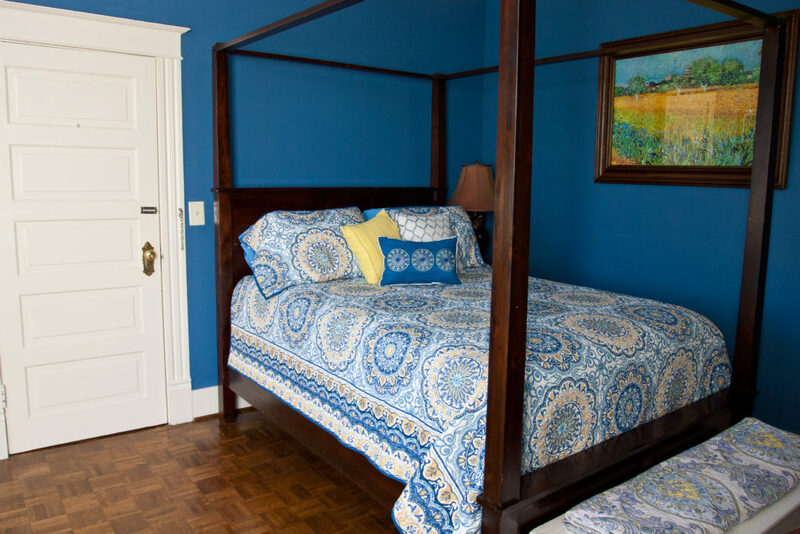 This guest room is great for a family or an escape with friends. 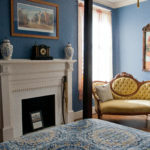 We’re so determined to make your experience at our Bed & Breakfast a charm, that we’d love to provide you with a courtesy airport shuttle if you book with us!